Earlier this month 4,500 exhibitors gathered at CES® (otherwise known as the Consumer Electronics Show) in Las Vegas to show off all their new technology and gadgets. More than 180,000 people from 155 countries attended CES 2019. From tech firms to innovative startups, companies introduce the latest innovation to the global market at this show. The range of what you see is vast. Everything from ideas for future smart cities, artificial intelligence, and robotics, to sports, health tech, and fitness wearables–you’ll find (and see!) it all. Check out some of our favorites in a variety of different product categories. 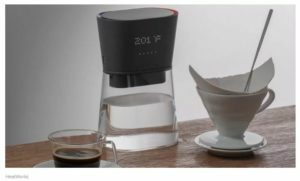 Check out the Heatworks Duo Smart Untethered Carafe, which heats water to your chosen temperature as you pour. Do you have cats? Scoop less poop and come home everyday with a clean litter box with LavvieBot, a self-cleaning litter box that also auto-refills. There’s a new type of TV screen technology that has the same benefits of OLED but more brightness and less chance of burn-in. Samsung has been working on it and at CES they revealed a 75-inch MicroLED TV which is the smallest incarnation yet that achieves 4K resolution. But if bigger is what you want, Samsung also showed a 219-inch version of The Wall. And over in 8K Land, the 98-inch Samsung Q900 QLED TV is one of the most massive 8K TVs announced so far. Jabra‘s making big promises about its new Elite 85h over-ear premium wireless headphones. The company says you’ll get the “best-in-class” performance for $299. Keep nosy people from seeing your screen with HP’s Sure View privacy filter. HP expanded the technology from laptops to monitors and desktops for the first time. You need a laptop? AMD processors are a common theme, starting with Asus’s new TUF FX505 and TUF FX705 budget gaming machines. HP showed a Spectre x360 laptop with an OLED display and an AMD-powered Chromebook that will go on sale this month for $269. And Acer will have its own Chromebook with AMD’s A-series processor and a new version of its Swift 7 laptop. The Y-Brush is a high-tech toothbrush that promises to brush your teeth perfectly (sonic vibrating technology) in 10 seconds. The Matrix PowerWatch 2 runs completely off solar power and body-generated heat and has all the features of a smart watch: heart rate, step counting, 200-meter water resistance and notifications. Bread Bot is a fully-automated bread making vending machine that mixes, kneads, proofs, bakes and sells wonderfully-smelling warm bread. A burger from Impossible Foods that is entirely made out of plants. The burger uses a fraction of the world’s resources, has no cholesterol, less fat, less calories and just as much protein as a hamburger. Still want more? 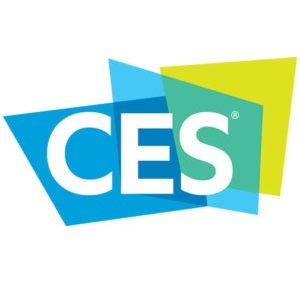 CES posted the keynote addresses and other CES Highlights here.